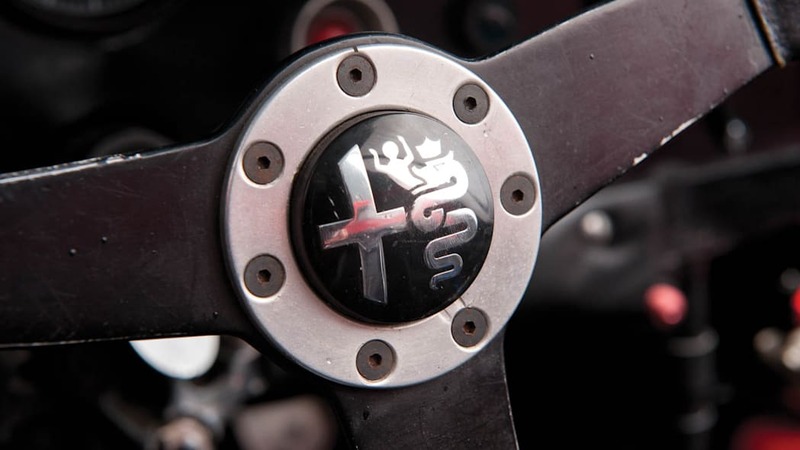 By the early 1950s, Alfa Romeo had grown tired of dominating (and spending huge sums of money on) grand prix racing, and shut down its program. Along with it, a program to develop a small-displacement two-liter V8 was aborted. 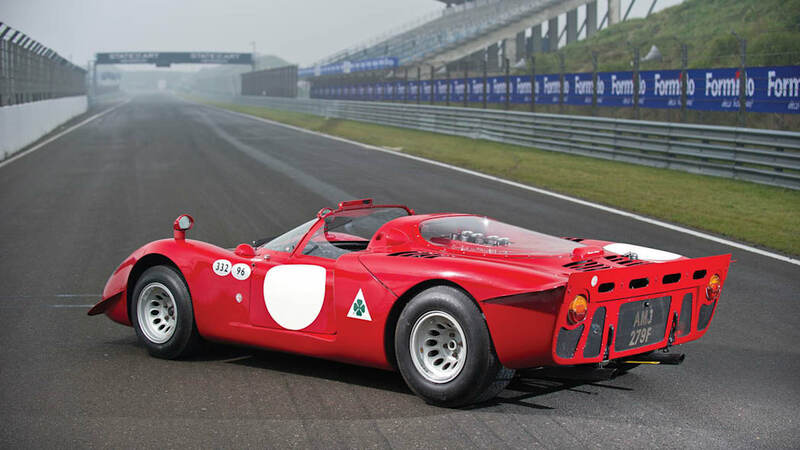 But Alfa couldn't keep away from racing altogether for very long, and by the early 60s the factory noticed that its customers were competing in endurance sportscar races and set about fielding its own works effort. 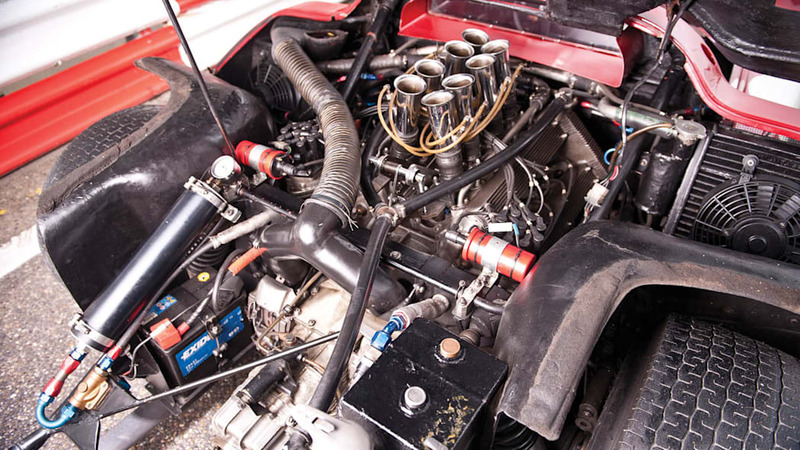 Development of the high-revving 2.0-liter V8 picked up again, finding its way into a variety of prototypes and GTs, but this was arguably the most alluring. Shortly after its debut in 1967, the T33/2 scored an impressive 1-2-3 class finish (and 5-6-7 overall) in the 24 Hours of Daytona, giving the car its nickname. 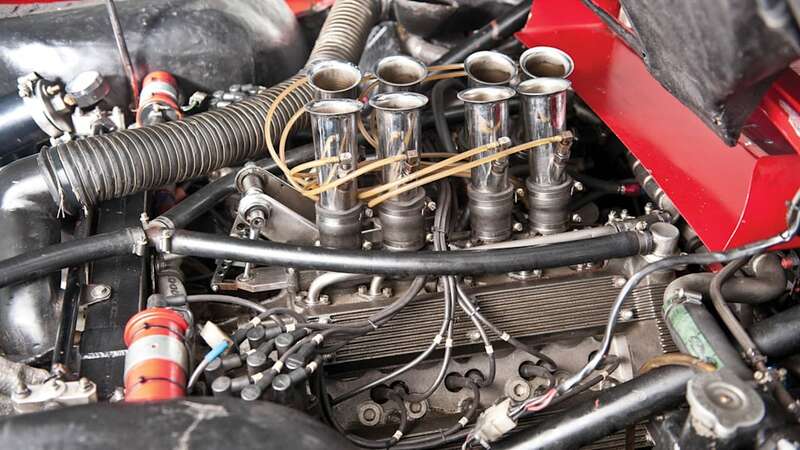 And while Alfa and its racing partner Autodelta kept notoriously sketchy historical records on their racing cars, chassis 75033.029 is believed to be one of the most successful. 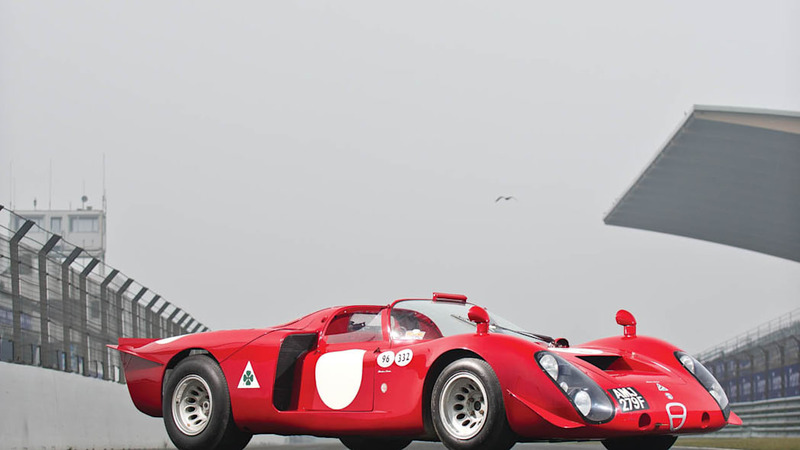 The extensive history of the vehicle you see here – regarded as one of the most desirable of racing Alfas of an era that stretches from the 1960s through the 70s – includes victory at the 500 km of Imola in 1968, punctuating a series of races campaigned by the works Alfa/Autodelta team and various privateers that followed. You can read more about the Tipo 33/2 Daytona in the text after the jump ahead of its consignment to the RM Auctions event in Monaco next month, or you could let the pictures in the high-res image gallery speak for themselves. At the end of 1951, after winning the first two World Driving Championships with its Tipo 158/159 racers, Alfa Romeo retired from international Grand Prix competition. 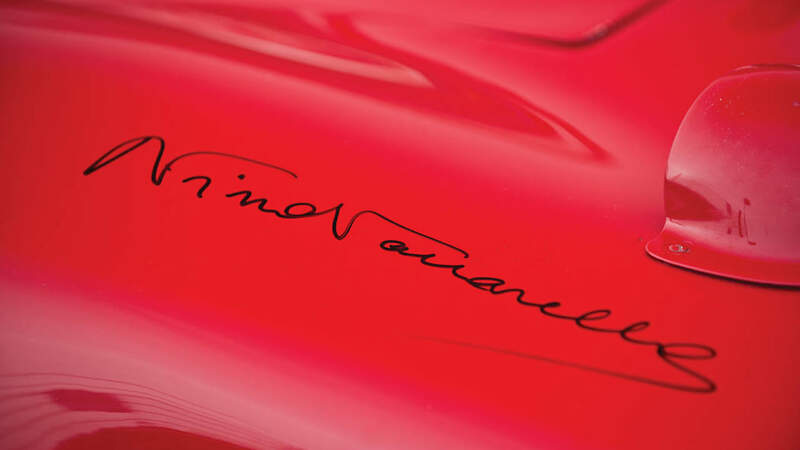 The company's next major competitive effort was to be the famed Disco Volante (the 'Flying Saucer') sport car. An entirely new design, it appeared in 1952–1953, in both open and closed form. 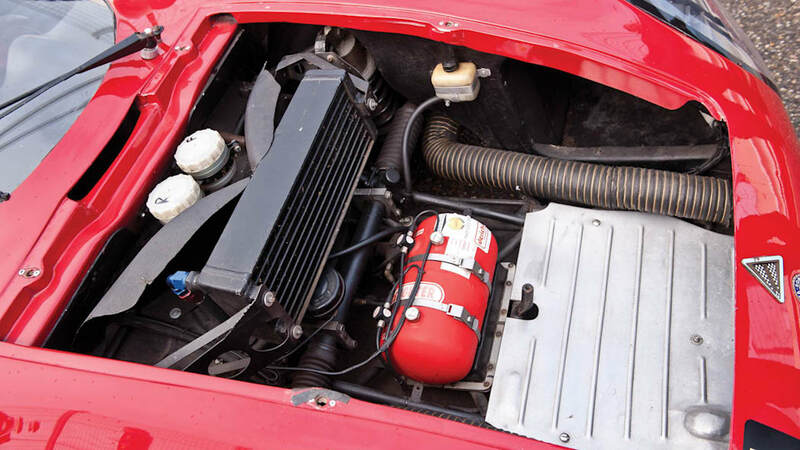 An intriguing 2-litre V-8 prototype engine design, built shortly afterward and intended for a sporting GT car, was shelved. 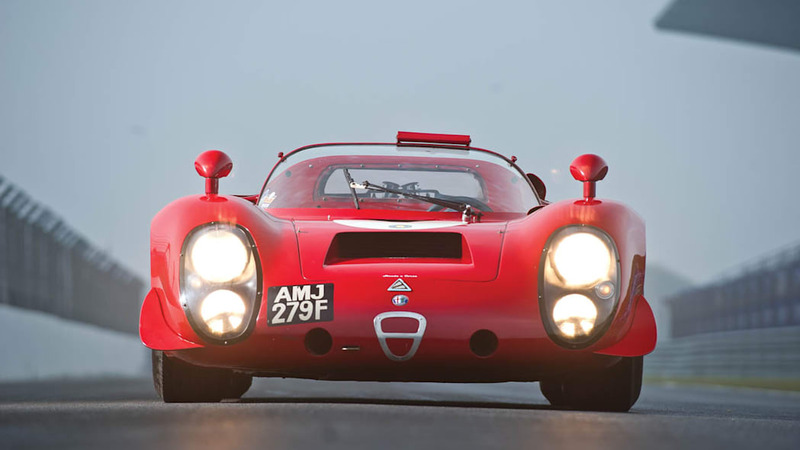 In the early 1960s, when Alfa Romeo and its competition arm, Autodelta, were scoring many victories in touring and GT races, especially with the Giulia coupé derivatives and the TZ1 and TZ2, Alfa Romeo decided to re-enter international sport car racing. 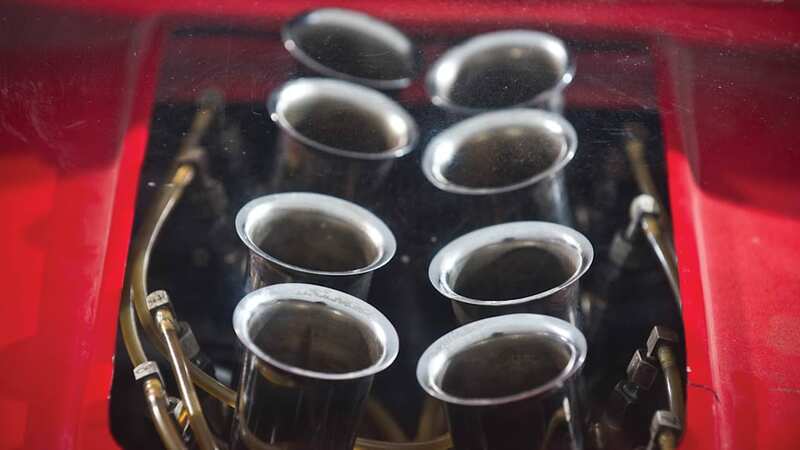 The stillborn 2-litre V-8 engine, which had been set aside ten years earlier, became the heart of Alfa's return to sport cars. This effort would encompass eleven racing seasons and result in Alfa Romeo winning the World Championship in 1977. The first of the new cars appeared in 1967, with a rather exotic H-shape chassis made of magnesium and aluminium. It was powered by a 2-litre V-8. This car was entered in a number of events, the first being a Belgian hill climb at Fleron, where Teodoro Zeccoli finished 1st overall. 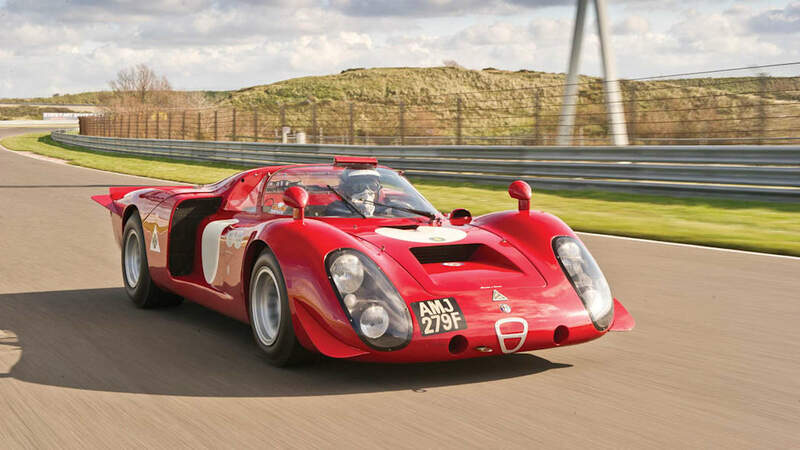 Zeccoli of course had a long history with the marque, having been an Abarth Works driver, a well-respected Le Mans and hill climb veteran and an Alfa Romeo test driver who was actively involved in the Tipo 33 project development. 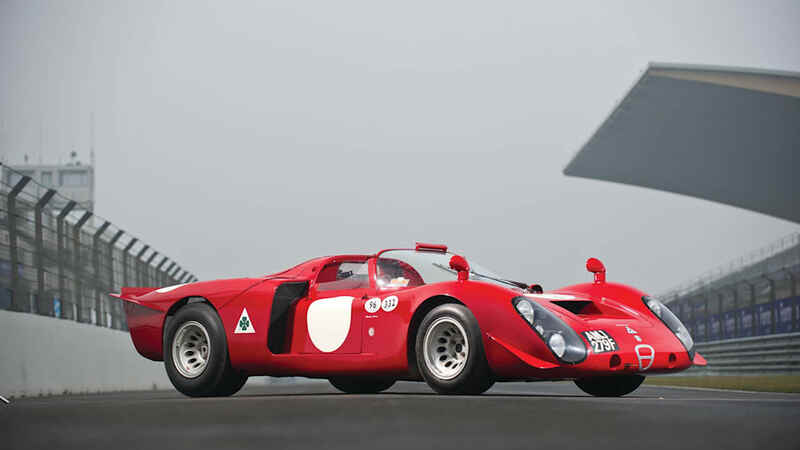 The name 'Fleron' became associated with this model, and that name persisted with the Tipo 33 Alfa Romeo sport cars. Alfa Romeo won four victories in 1967: three were in hill climbs and one was at the Vallelunga circuit later in the year. For 1968, Autodelta's brilliant chief engineer, Carlo Chiti, was preparing an "all-new" car for a serious international effort. Although it retained the original H-shape chassis, everything else was re-designed. Testing began in late-1967, and four cars, equipped with beautiful new coupé bodies, were ready for the February 24 Hours at Daytona race. They finished 5th, 6th and 7th overall, with an impressive 1st, 2nd and 3rd in the 2-litre class. These short-tail cars soon became known as the T33/2 'Daytona'. 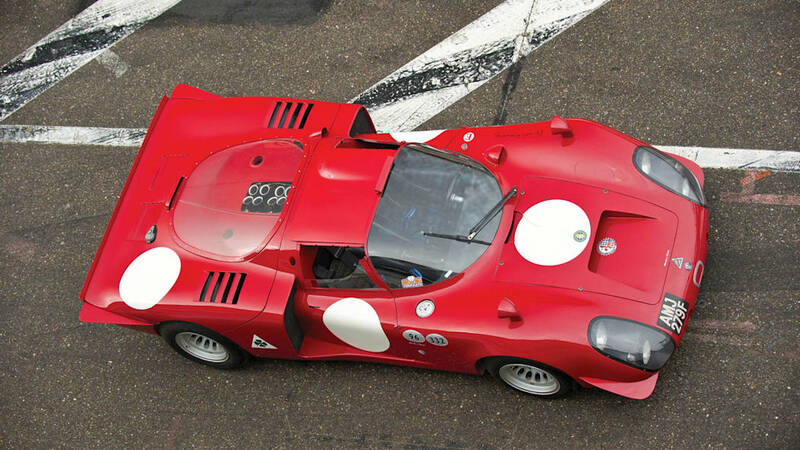 The later long-tail Le Mans racers similarly became known as the 'Le Mans' models. The new bodies had much better aerodynamic qualities, and the 1995 cc V-8 benefited from significant development work, producing 270 bhp at 9600 rpm. The 6-speed gearbox had been refined. 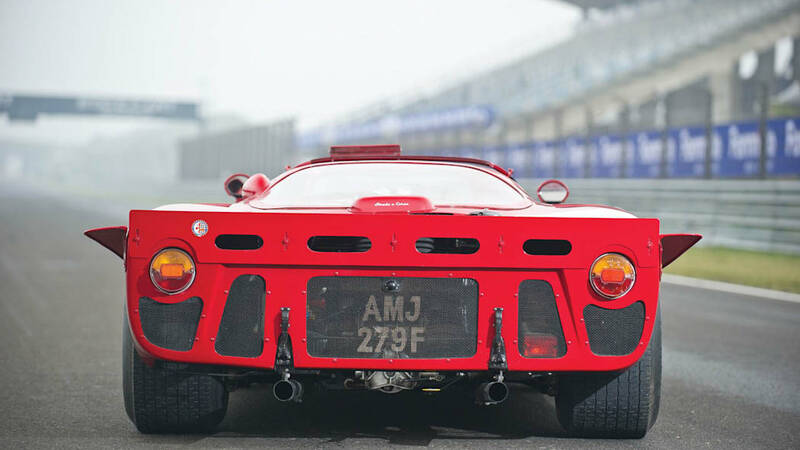 The long-tail version was reaching just under 300 km/h at Le Mans. 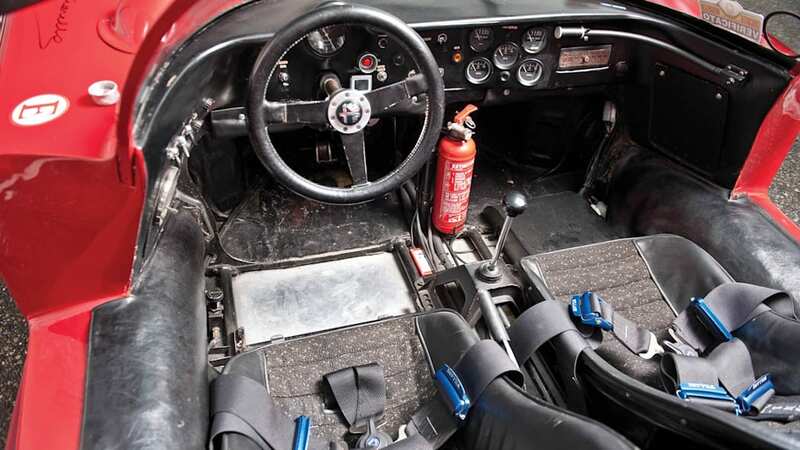 Factory and private entry T33/2s took part in 23 racing events in 1968, and won eight victories at various venues. 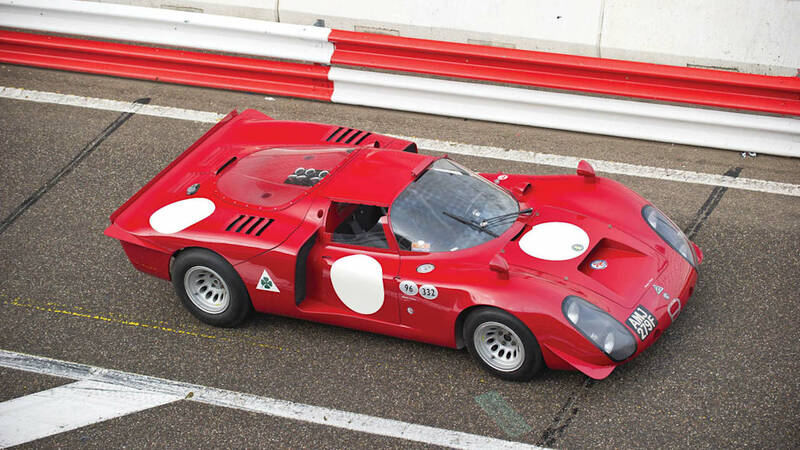 According to Alfa Romeo authority, Ed McDonough, chassis number 75033.029 is one of the few Alfa Romeo racing cars of the period, for which there is strong evidence of its identity. 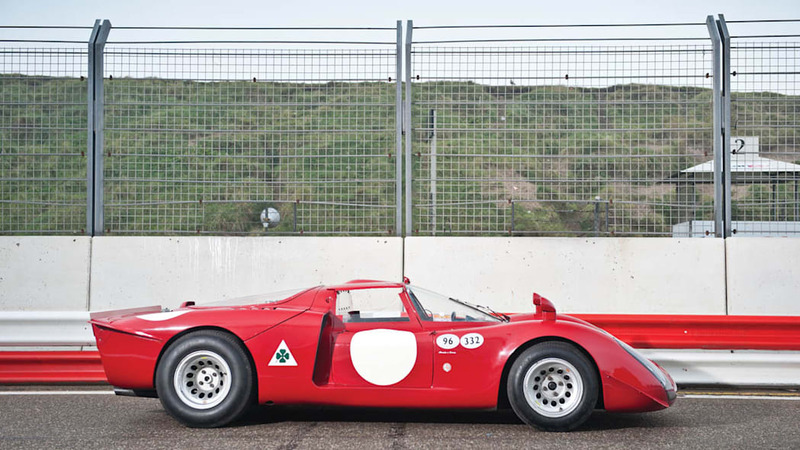 As McDonough writes, "...both Alfa Romeo and Autodelta kept very poor records of their competition cars and no comprehensive (official factory) written record exists which identifies which Tipo 33 chassis raced at which event. No one knows exactly how many T33/2 chassis were built, although there were believed to be about twenty. 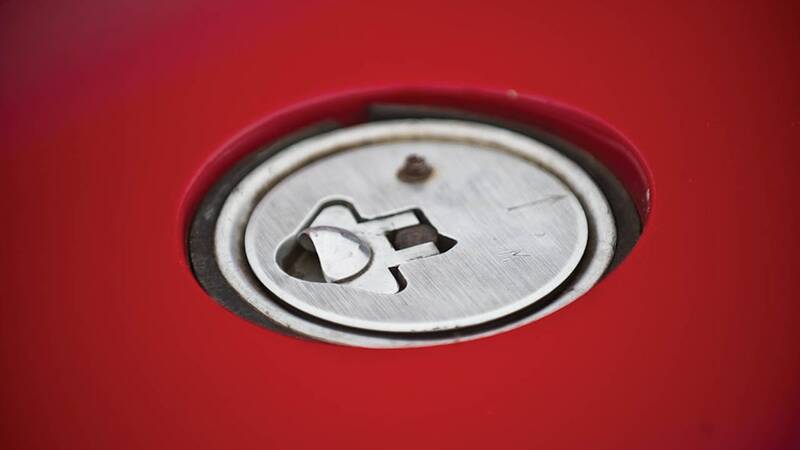 The chassis numbering system has always defied understanding". For the car on offer, however, there are two principal sources of provenance: the first is Teodoro Zeccoli, who did most of the early testing, kept his own diary and worked closely with Chiti. Race entry forms exist which match the chassis number on this car as it appeared at the races. 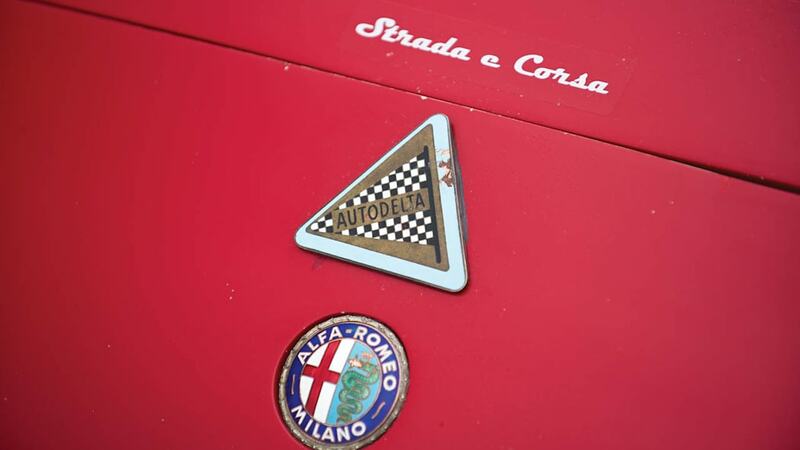 There is also testimony from the original owners, as well as from the late Marcello Gambi, an ex-Autodelta mechanic who kept his own records and went on to restore many cars. 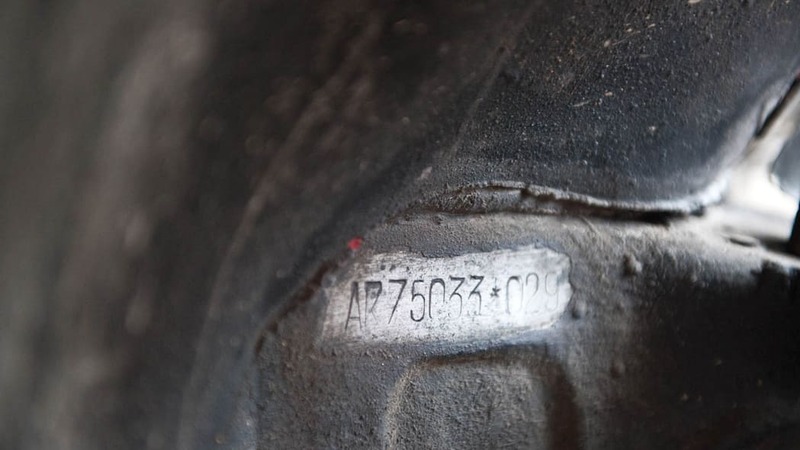 McDonough believes the history of 75033.029 is "reasonably complete", and notes "...that can only be said of about five or six of the 1968 cars". As such, this particular racing car is in a very rarefied class of Alfa Romeos. Documents show the first and most important race for 75033.029 was a 500 km non-championship event at Imola in September, 1968. Three Works entries appeared: Ignazio Giunti/Nanni Galli in chassis 017, Mario Casoni and Spartaco Dini in chassis 018 and Nino Vaccarella and Teodoro Zeccoli in 029. This race was considered a shakedown event for the team, prior to competing at Le Mans two weeks later. (The race was delayed several months that year.) Galli and Giunti starred in practice and the early laps, but it was 029, in the hands of the legendary Nino Vaccarella and the veteran, Teodoro Zeccoli, which worked its way steadily into the lead. That race was Autodelta's best showing since Daytona, and it proved to be the team's first 1-2-3 victory, with the T33/2's outperforming the field of Porsche 910s by a wide margin. In July, Vaccarella and Lucien Bianchi won the Circuit of Mugello race in what was thought to be 029, although irrefutable evidence for this claim has not yet been established. Nino Vaccarella reportedly told Ed McDonough and Peter Collins that "after Mugello, it was nice to win again in the same car at Imola", which would argue strongly for the Imola winner being the Mugello 029 car. Late in 1968, Autodelta, developing a new 3-litre car for 1969, sold some of the 1968 racers to privateers, whilst retaining a few to use until the new model was complete. 75033.029 was sold to an Italian, Antonio Zadra, who planned to compete in a number of events with his friend, Giuseppe Dalla Torre. 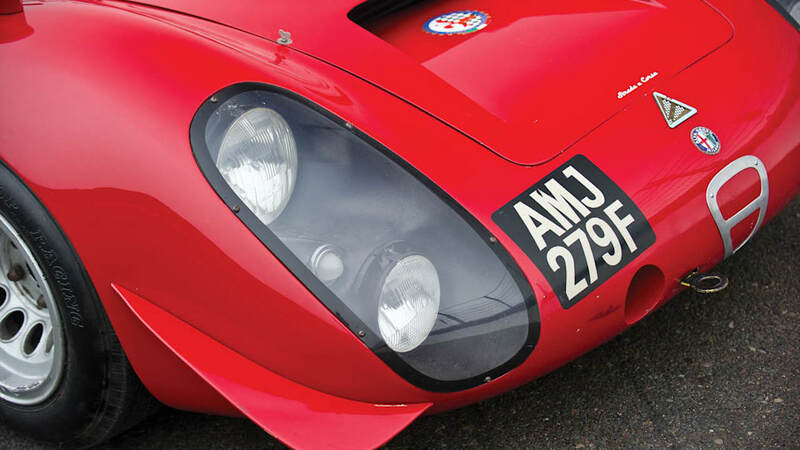 The first of these was the 1969 Monza 1000 Kilometres, where the Scuderia Trentina 029 scored an impressive 10th overall and won the 2-litre prototype class. Zadra had Mario Casoni as his co-driver at the Targa Florio, where the car ran well but eventually retired. On 13 July, Zadra finished 8th at the Trento Bondone hill climb in Italy, and a week later, Zadra/Dalla Torre had Works support at the Circuit of Mugello. McDonough noted that 029 appeared there with a more open body fitted. 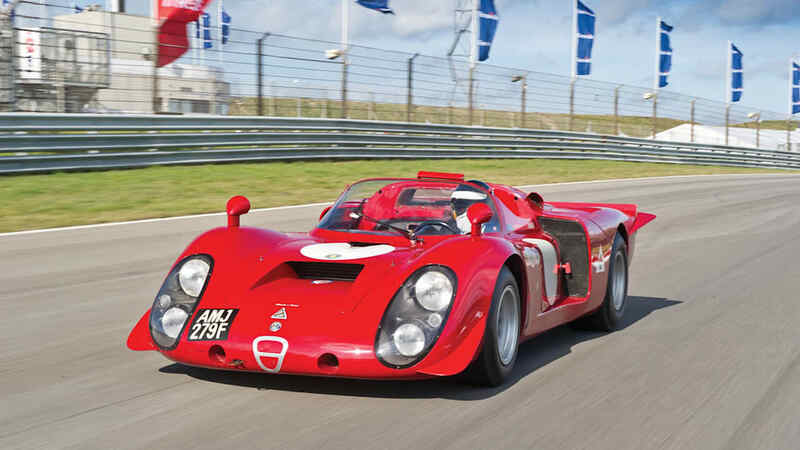 Then came the Austrian 1000 Kilometres at Osterreichring, where Autodelta brought the new 3-litre cars. Zadra/Dalla Torre competed in 029 along with other private Alfa entries. 029 turned out to be the only Alfa to finish, this time in 17th place. Zadra was 12th at the Karlskoga races in Sweden in August, and he shared 029 with Carlo Facetti at the Imola 500 Kilometres in September, but they retired. In 1970, Hubert Ascher bought the car and it appeared at Dijon, after which Klaus Reisch drove it at Neubiberg and again at Magny Cours in 1971. 029 was in the USA in the 1980s, and it returned to Europe, where Paul and Matt Grist found and restored it, then successfully competed in a number of historic events, including the French Tour Auto. 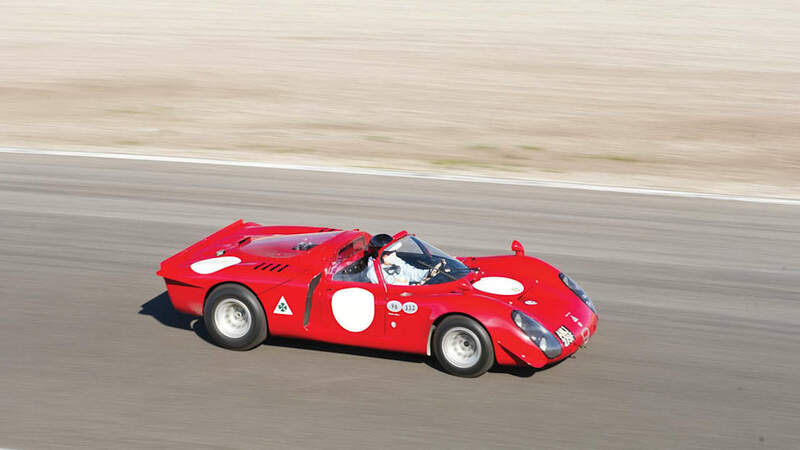 The owner states, "This is my personal Tipo 33/2 Daytona, the most original and best documented racing Alfa of that period. It's well-sorted and blindingly fast for an 8 cylinder 2-litre. I have been invited (to compete) in about every event in this part of the world. It is versatile, exciting to drive and very reliable". Indeed, Classic & Sports Car seem to agree wholeheartedly with this assessment of the car in a recent road test, entitling their article "Once you're in the groove, it has a lightness of touch not unlike that of a Grand Prix racer". 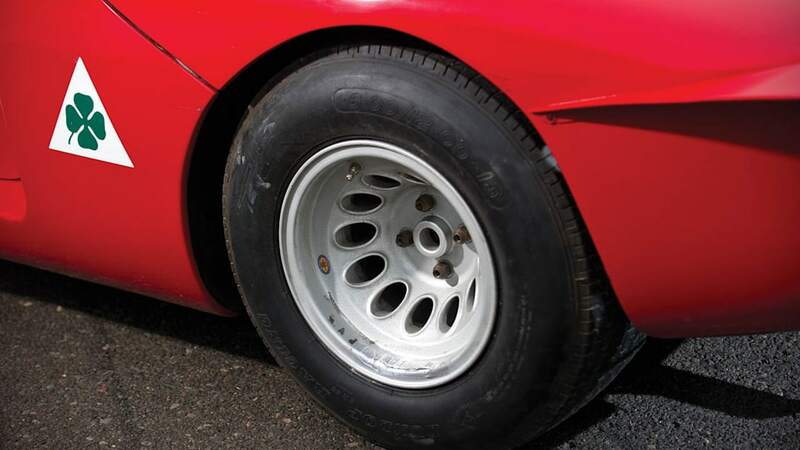 Mick Walsh went on to say, "With wide 'pepperpot' wheels packing its arches, gaping vents dominating its profile and aero wing-flicks indicating serious speed, the Daytona is the best-looking of the line that ran from the '66 Periscopica to the '77 twin-turbo flat-12 SC wedge". Complete with both Dutch and UK road registration, as well as all the requisite FIA, HTP and FIVA documents, it is certainly quite unique and ready for any number of historic racing events. Indeed, the opportunity to acquire a T33/2 Daytona is a very rare one. This particular car's offering, however, marks what is surely a unique opportunity, by virtue of 029's stellar racing record and known history. 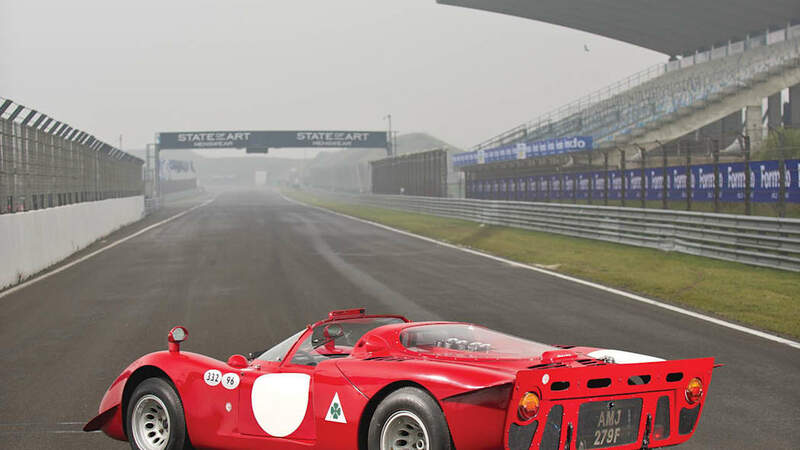 From the corkscrew at Laguna Seca to the open roads of France, there is surely no more exciting way to exercise one's right foot than with a high-revving, 2-litre Alfa Romeo V-8.